Overnight and into a magnificent West Country morning, boats have been streaming across the Rolex Fastnet Race finish line and into Plymouth Yacht Haven. 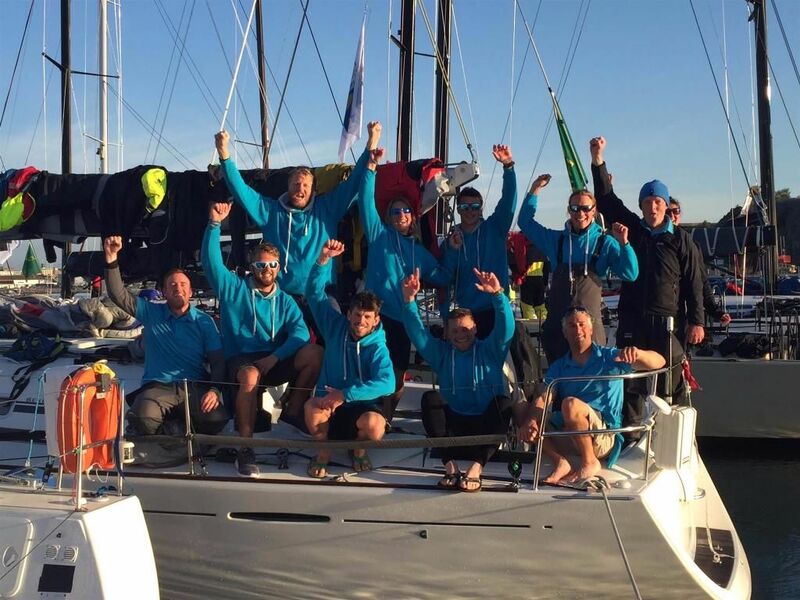 With this, the leaders in the bigger classes have begun firming up along with the prospects for the boat that will be the crowned overall winner under IRC in the Royal Ocean Racing Club’s biennial flagship offshore race. 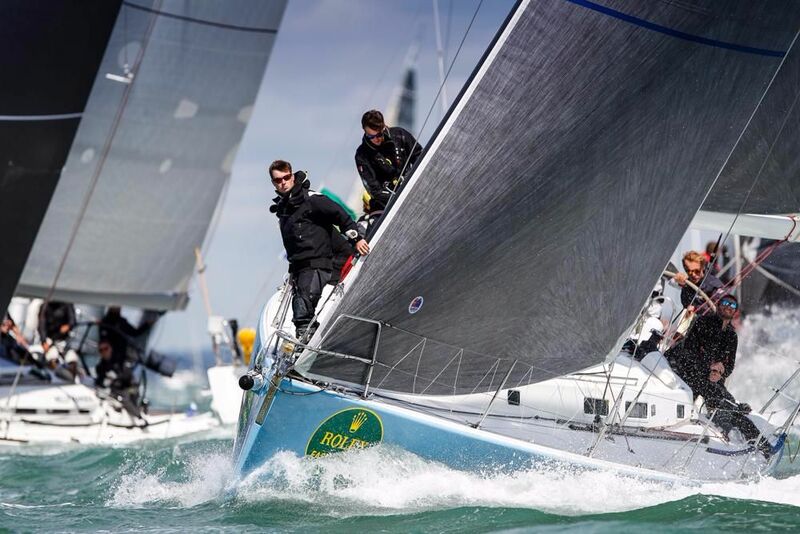 American Ron O'Hanley’s Cookson 50, Privateer is the leader in the IRC Zero from the Ker 46 Lady Mariposa, and yesterday seemed to be in good shape to take the overall prize across the 312-boat IRC fleet vying for the Fastnet Challenge Cup. However overnight the IRC One leader Lann Ael 2, the JND 39 of Paris-based Didier Gaudoux pulled into the lead. 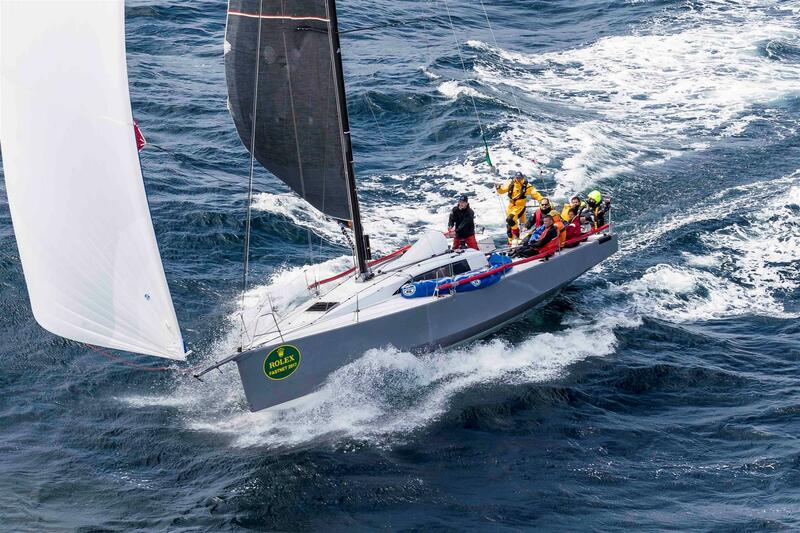 In IRC One the powerful looking La Crouesty based boat holds a lead of more than two and a half hours on corrected time over the equally angular Lombard 46, Pata Negra, being campaigned by the Dutch de Graaf family of Ker 40, Baraka, fame. However at present there are many smaller boats still capable of lifting the overall IRC prize off the IRC One leader. In IRC Two Gilles Fournier and Corinne Migraine’s J/133 Pintia is looking good for first prize following their arrival at the finish line at 05:33 this morning. Due to the tidal state at the time, Pintia went to the west of the all-important traffic separation scheme off the Scilly Isles. Fournier said he enjoyed rounding the Fastnet Rock, even though it was at night. Nick and Suzi Jones’ First 44.7 Lisa, skippered by RORC Commodore Michael Boyd, finished 36 minutes after Pintia this time, correcting out into second place, 1 hour 13 minutes behind of the French boat on corrected time. Boyd acknowledged that Pintia had stolen a march on them at Portland Bill. The boats in Lisa’s group saw 25 knots on the nose, some of the strongest conditions crossing the Celtic Sea to the Fastnet Rock, requiring the crew to live on the rail. Boyd described the Fastnet Rock, off his native Ireland, as “extraordinary, absolutely magical”. While the First 44.7 isn’t a weapon downwind, the boat had a bowsprit and asymmetric spinnakers added to her Banks sail inventory for this season, aiding their return journey back from the Rock. Lisa currently lies second in IRC Two and eighth overall under IRC, results with which Boyd was pleased. This afternoon the leaders in IRC Three and Four are due, along with the Two Handed class where the Loisin father and son, Pascal and Alexis, on their 2013 overall Rolex Fastnet Race winning JPK 10.10, Night and Day, have taken the lead from Ajeto!, the J/122e of Robin Verhoef and John Van Der Starre.